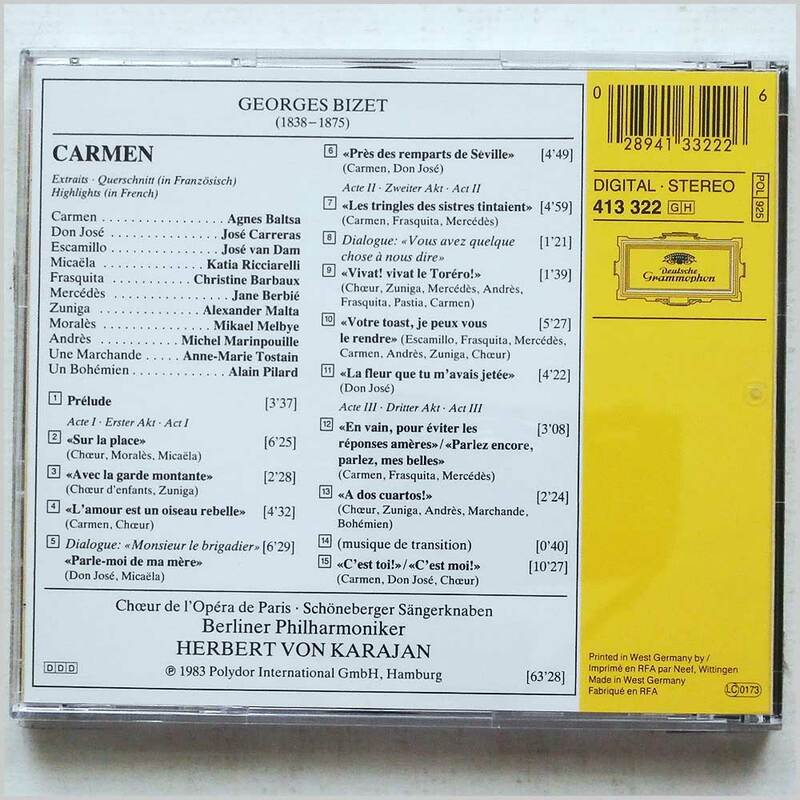 Format: Music CD, Deutsche Grammophon Records. 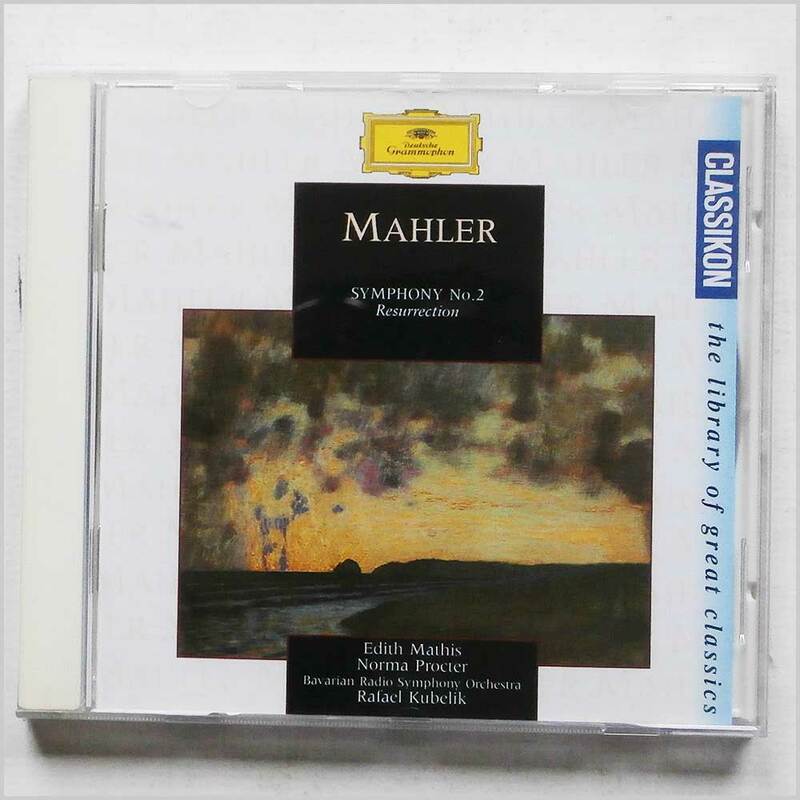 Classical music CD release from Rafael Kubelik, Edith Mathis with the album Mahler: Symphony No.2. Released on the label Deutsche Grammophon Records. Classical music CD. This hard to find pre-owned music CD is fully guaranteed. 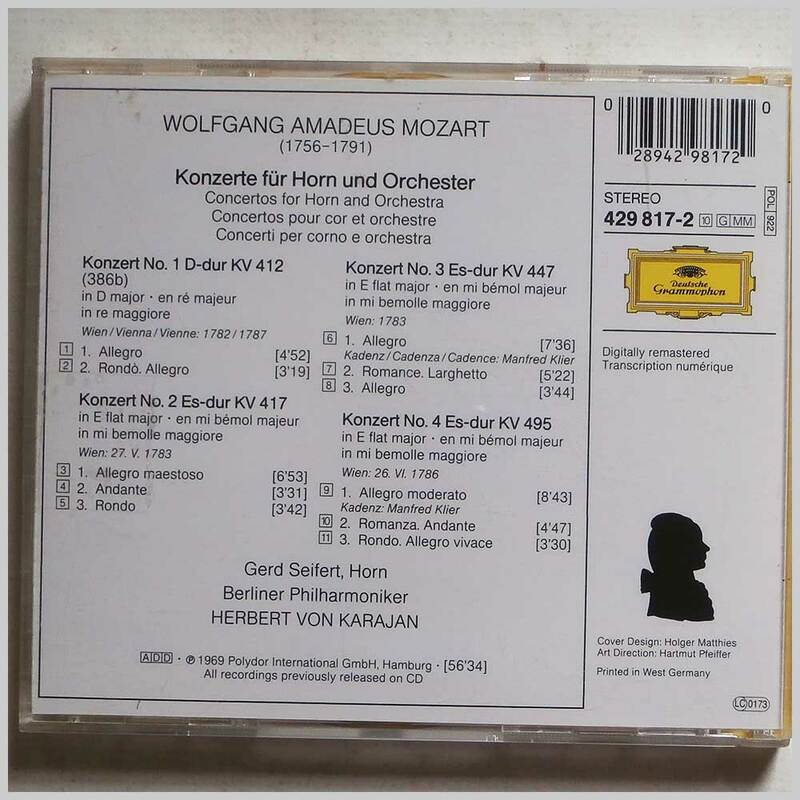 Format: Music CD, Deutsche Grammophon Records. 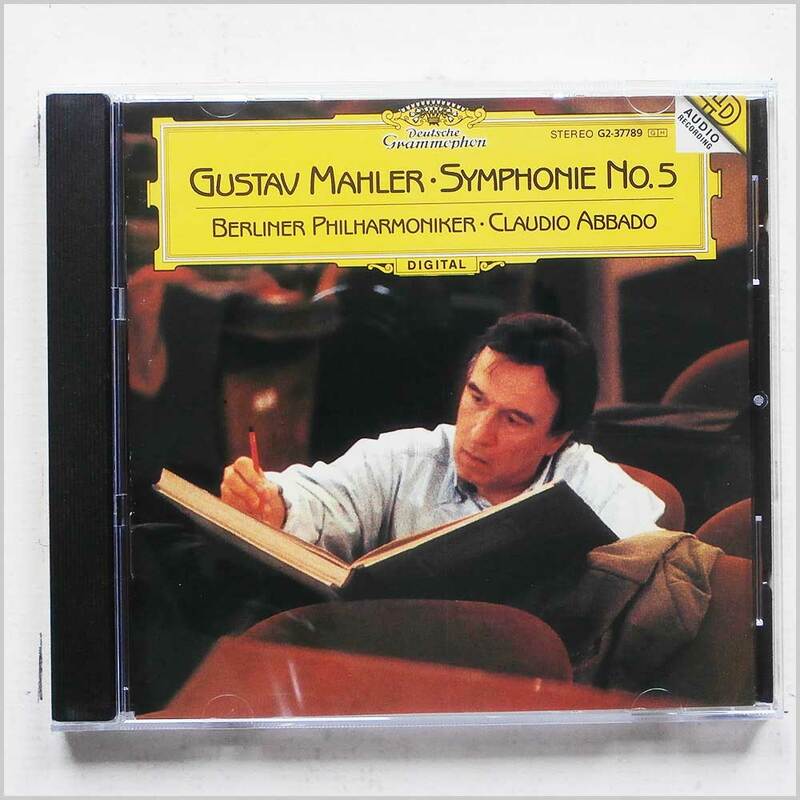 Classical music CD release from Claudio Abbado, Berliner Philharmoniker with the album Mahler: Symphony No.3. Released on the label Deutsche Grammophon Records. 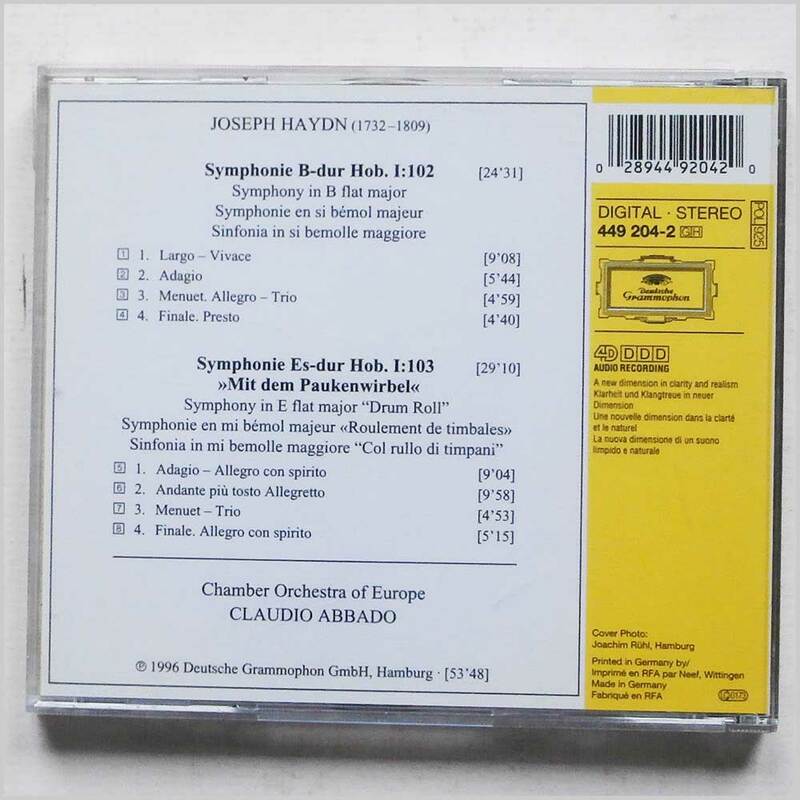 Classical music CD. This hard to find pre-owned music CD is fully guaranteed. 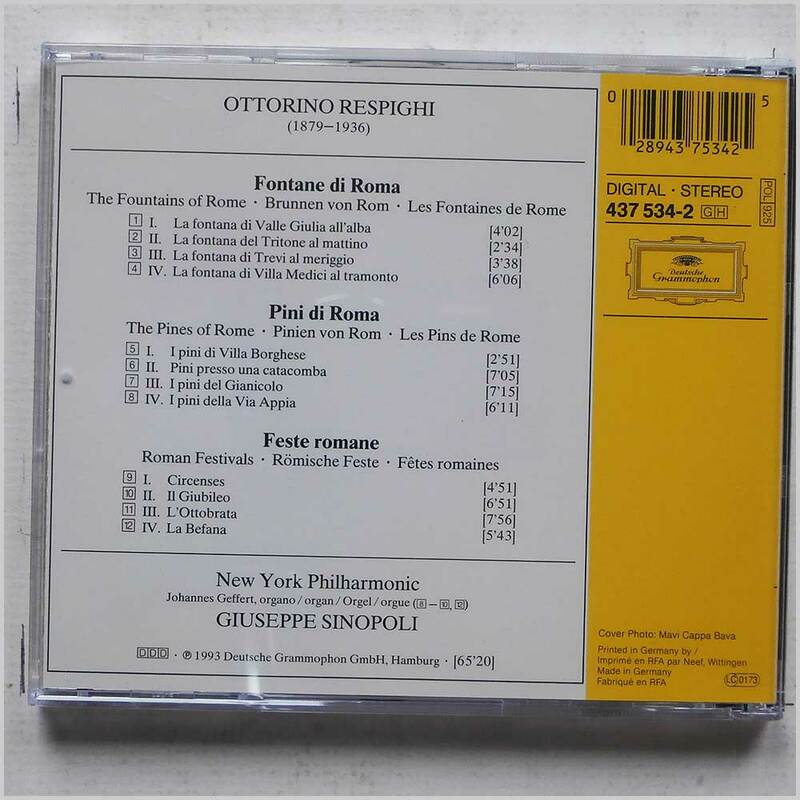 Format: Music CD, Deutsche Grammophon Records. 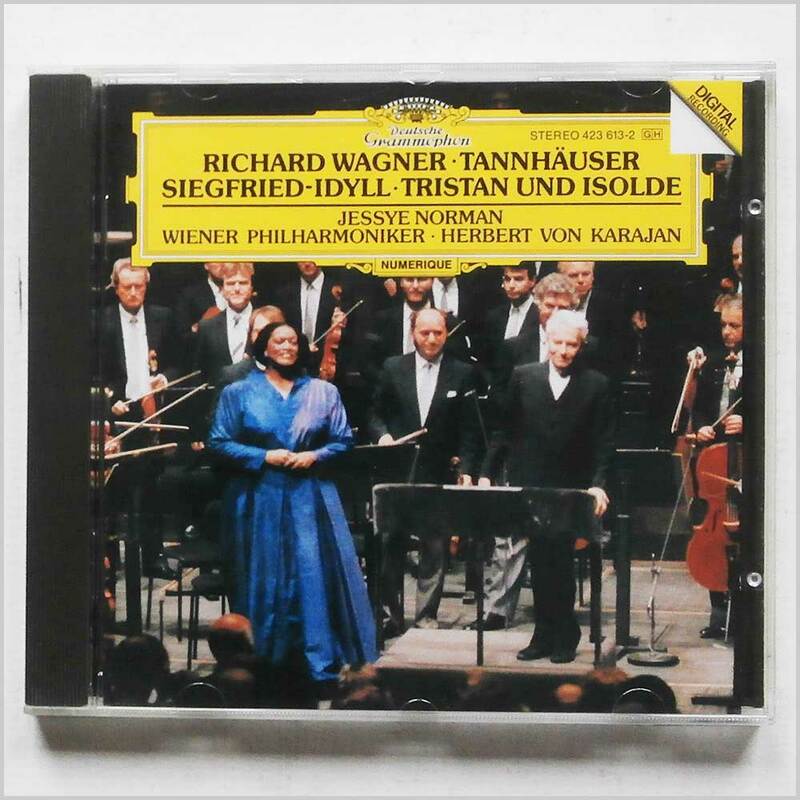 Classical music CD release from Jessye Norman, Wiener Philharmoniker, Herbert von Karajan with the album Richard Wagner: Tannhauser Overture, Siegfried-Idyll, Tristan und Isolde. Released on the label Deutsche Grammophon Records. Classical music CD. This hard to find pre-owned music CD is fully guaranteed. 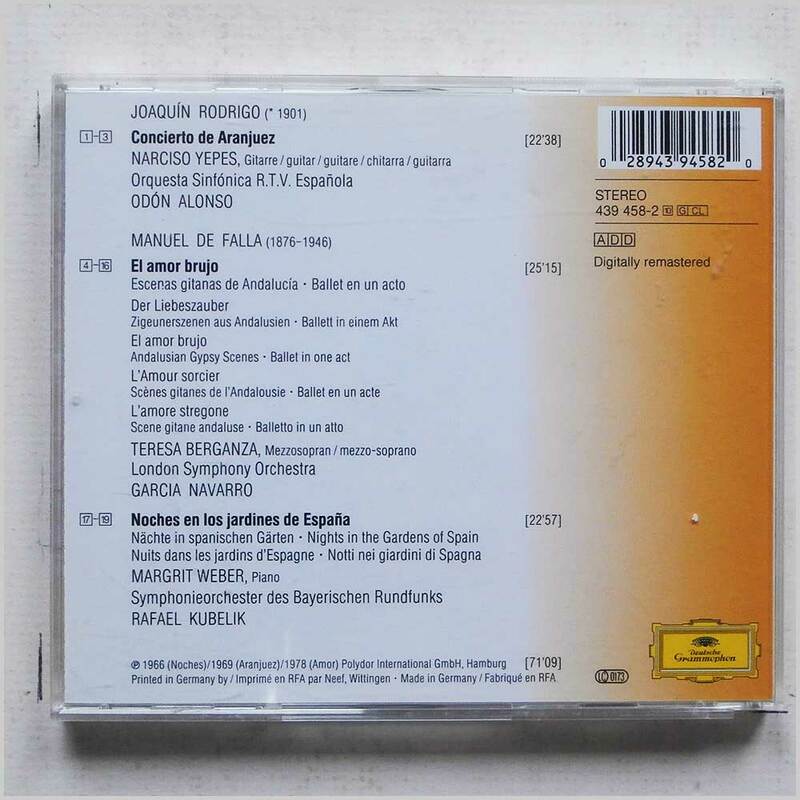 Format: Music CD, Deutsche Grammophon Records. Classical music CD release from Orpheus Chamber Orchestra with the album Wolfgang Amadeus Mozart: Eine kleine Nachtmusik, Divertimenti. Released on the label Deutsche Grammophon Records. Classical music CD. This hard to find pre-owned music CD is fully guaranteed. 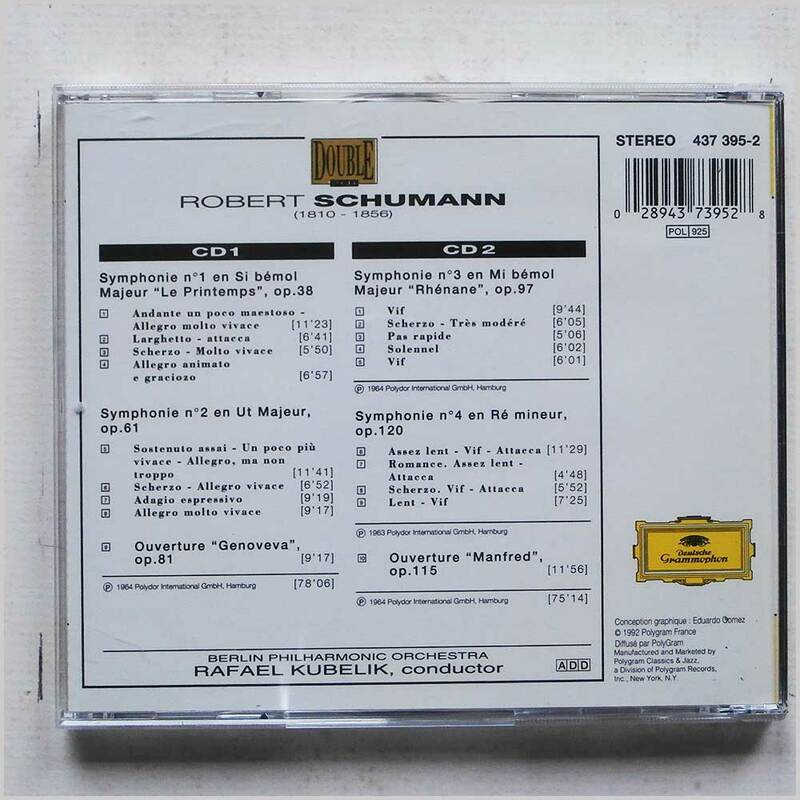 Format: Music CD, Deutsche Grammophon Records. 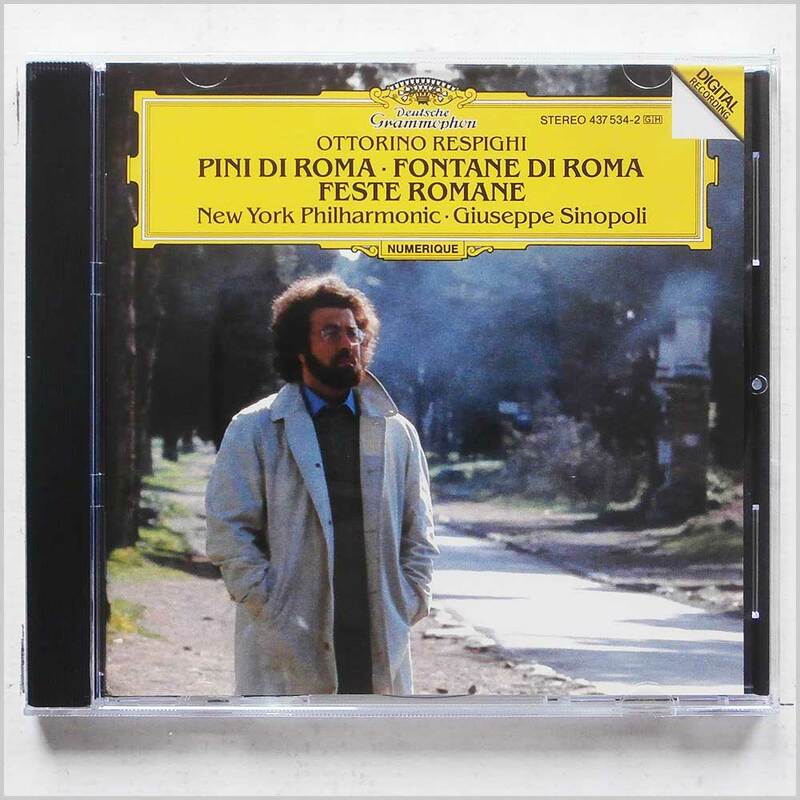 Classical music CD release from Giuseppe Sinopoli, New York Philharmonic with the album Ottorino Respighi: Pini di Roma, Fontane di Rome, Feste Romane. Released on the label Deutsche Grammophon Records. Classical music CD. This hard to find pre-owned music CD is fully guaranteed. 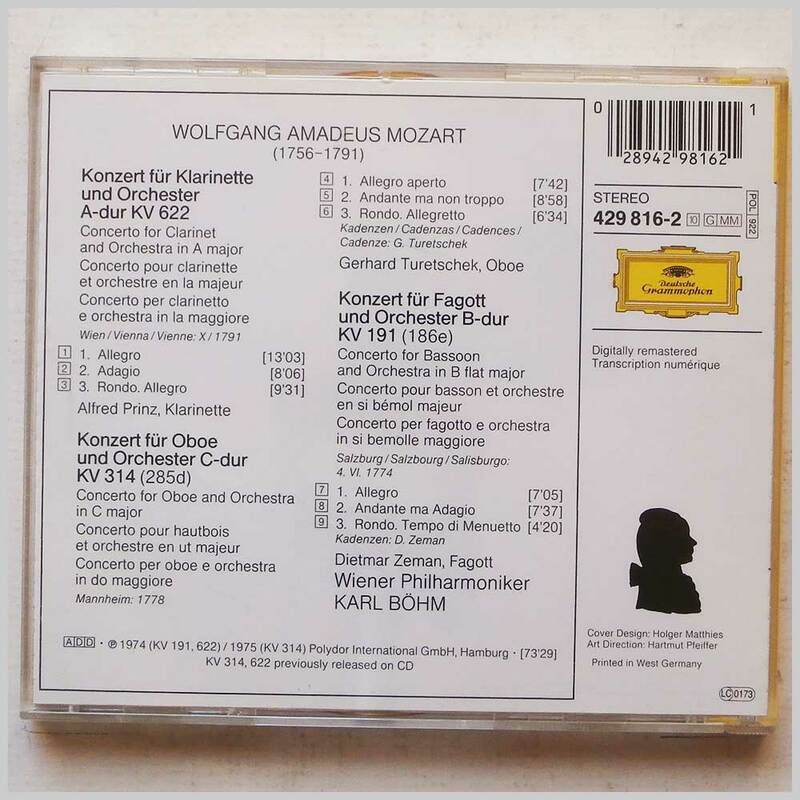 Format: Music CD, Deutsche Grammophon Records. 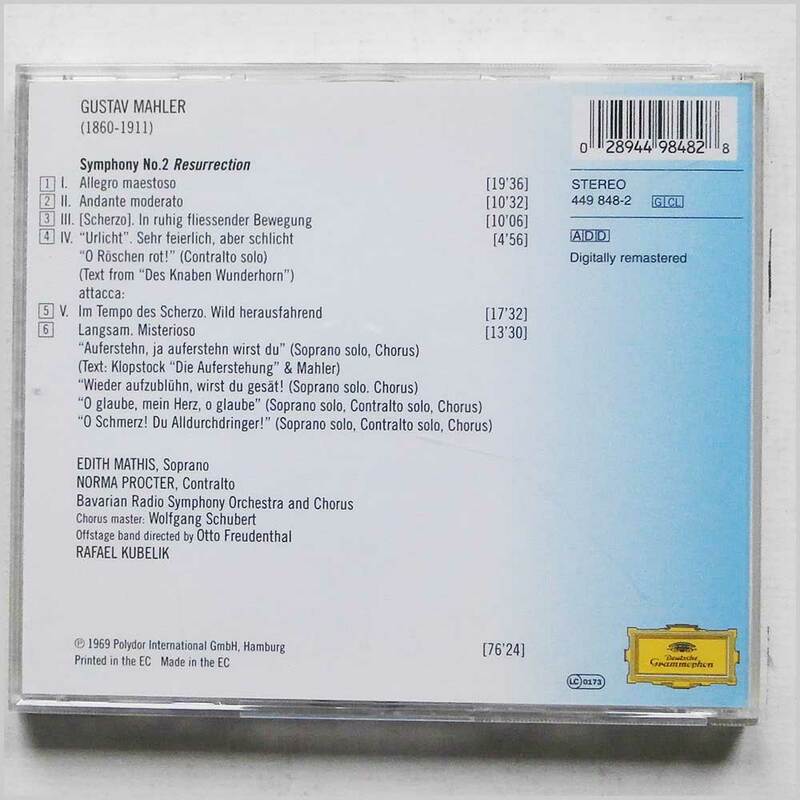 Classical music CD release from Claudio Abbado, Berliner Philharmoniker with the album Gustav Mahler: Symphonie No. 5. Released on the label Deutsche Grammophon Records. 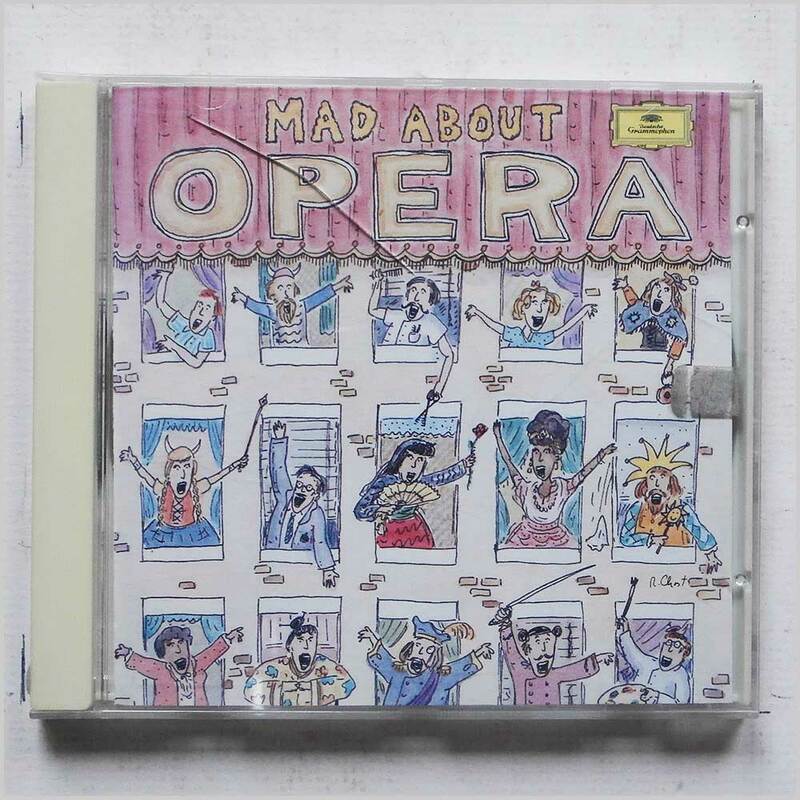 Classical music CD. This hard to find pre-owned music CD is fully guaranteed. 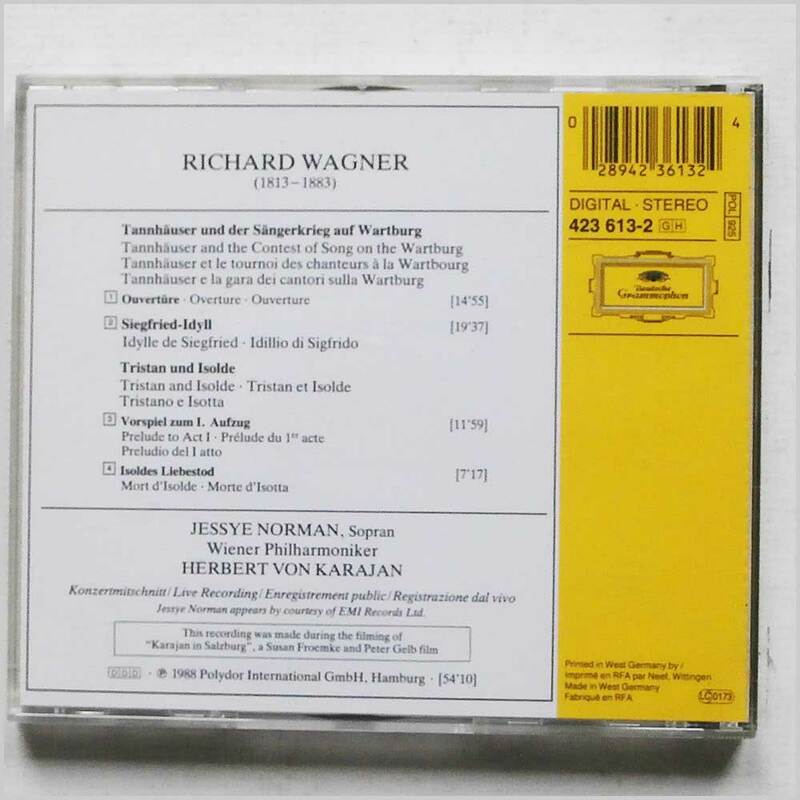 Format: Music CD, Deutsche Grammophon Records. 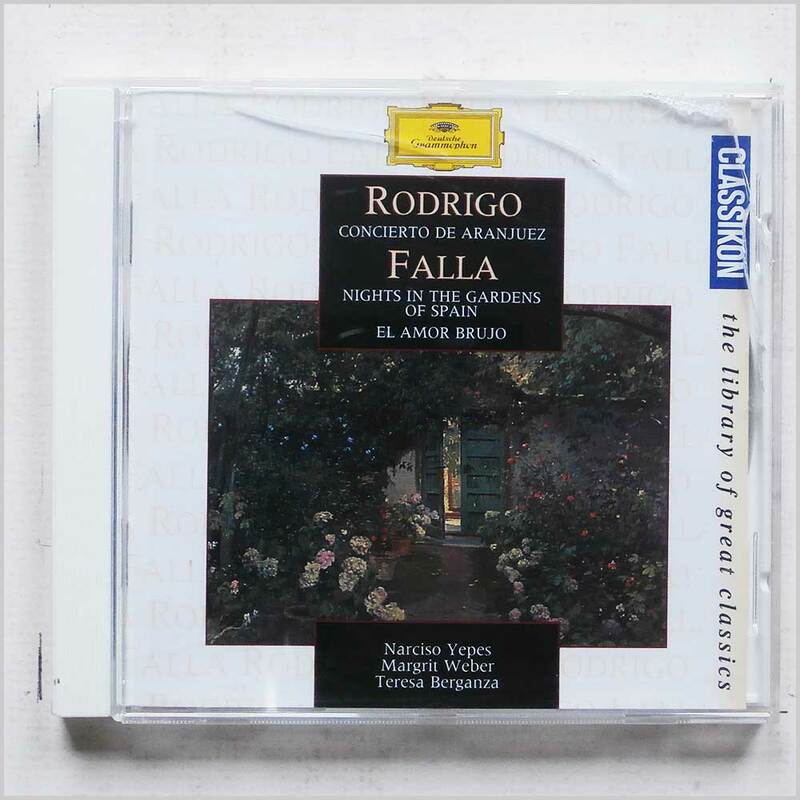 Classical music CD release from Narciso Yepes, Margrit Weber, Teresa Berganza with the album Rodrigo: Concierto De Aranjuez, Falla: Nights in the Garden of Spain, El Amor Brujo. Released on the label Deutsche Grammophon Records. Classical music CD. This hard to find pre-owned music CD is fully guaranteed. 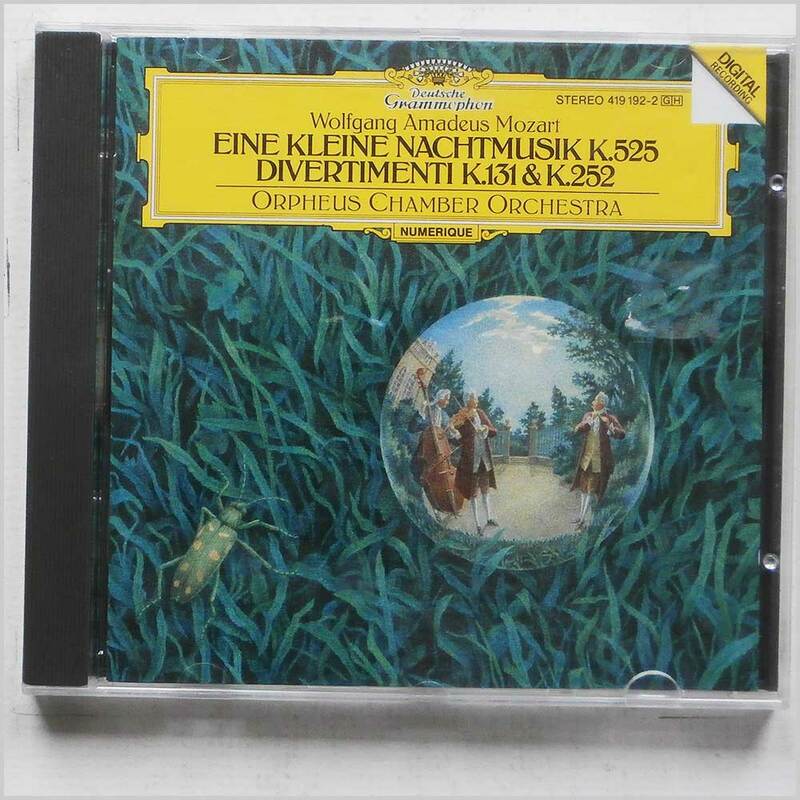 Format: Music CD, Deutsche Grammophon Records. 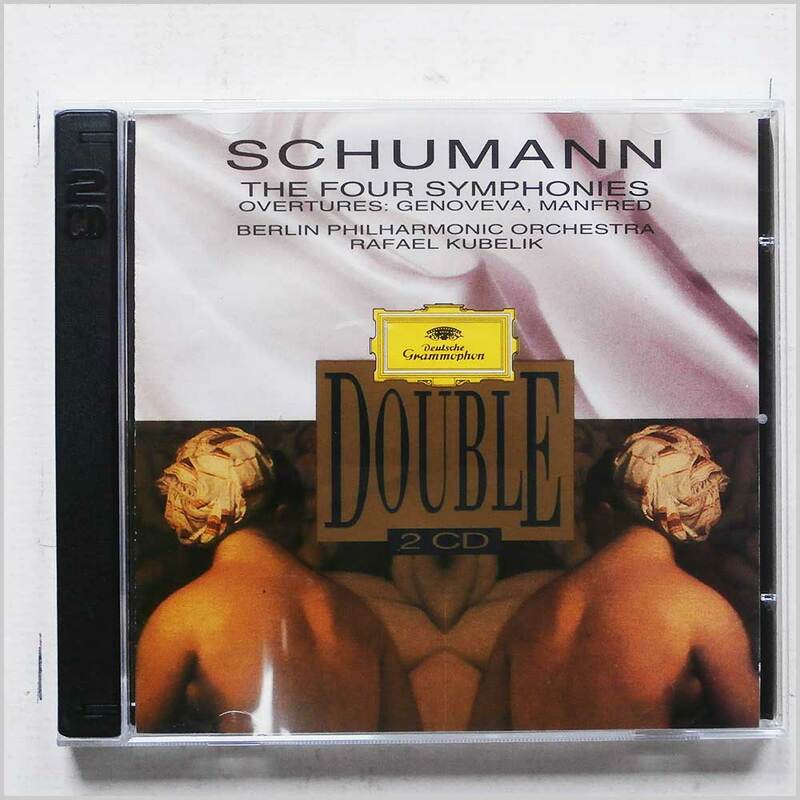 Classical music CD release from Rafael Kubelik, Berlin Philharmonic Orchestra with the album Schumann: The Four Symphonies. Released on the label Deutsche Grammophon Records. Classical music CD. This hard to find pre-owned music CD is fully guaranteed. This is a two CD set. 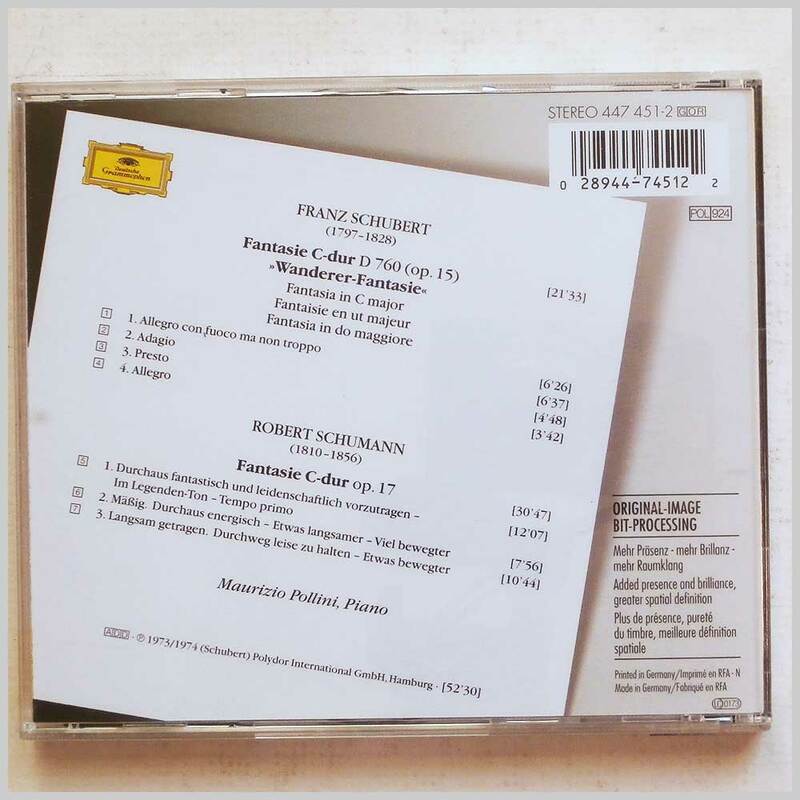 Format: Music CD, Deutsche Grammophon Records. 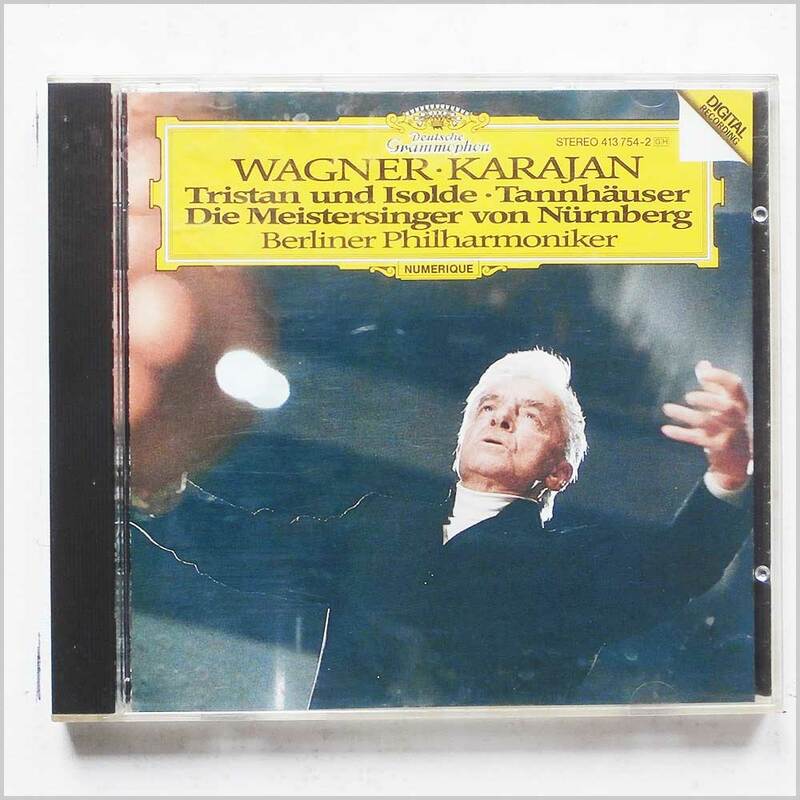 Classical music CD release from Herbert Von Karajan, Berliner Philharmoniker with the album Tristan und Isolde, Tannhauser, Die Meistersinger von Nurnberg. Released on the label Deutsche Grammophon Records. Classical music CD. This hard to find pre-owned music CD is fully guaranteed. 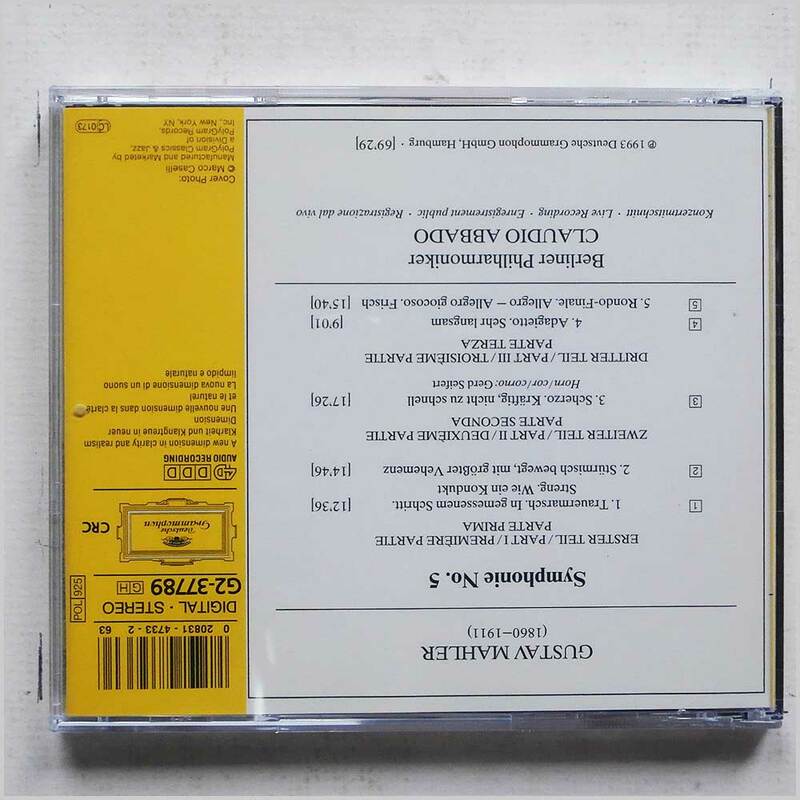 Format: Music CD, Deutsche Grammophon Records. 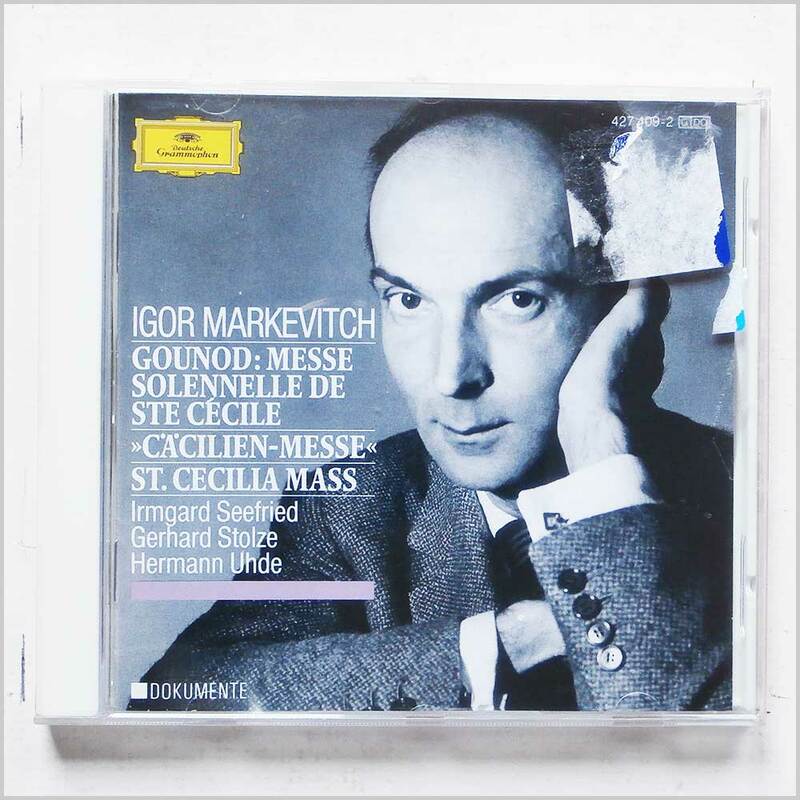 Classical music CD release from Igor Markevitch with the album Charles Gounod: St. Cecilia Mass. Released on the label Deutsche Grammophon Records. Classical music CD. This hard to find pre-owned music CD is fully guaranteed. 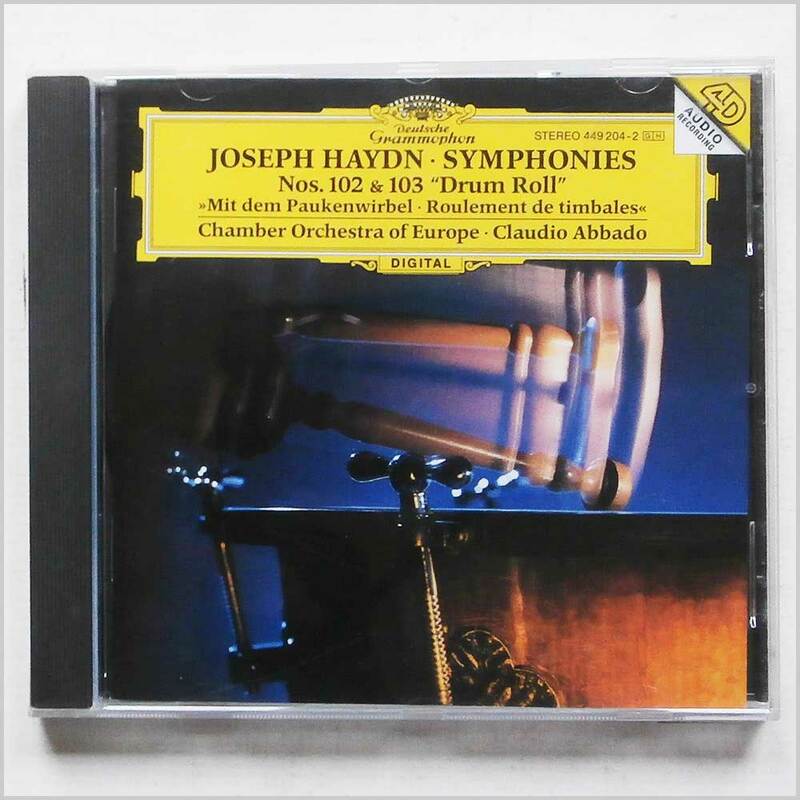 Format: Music CD, Deutsche Grammophon Records. 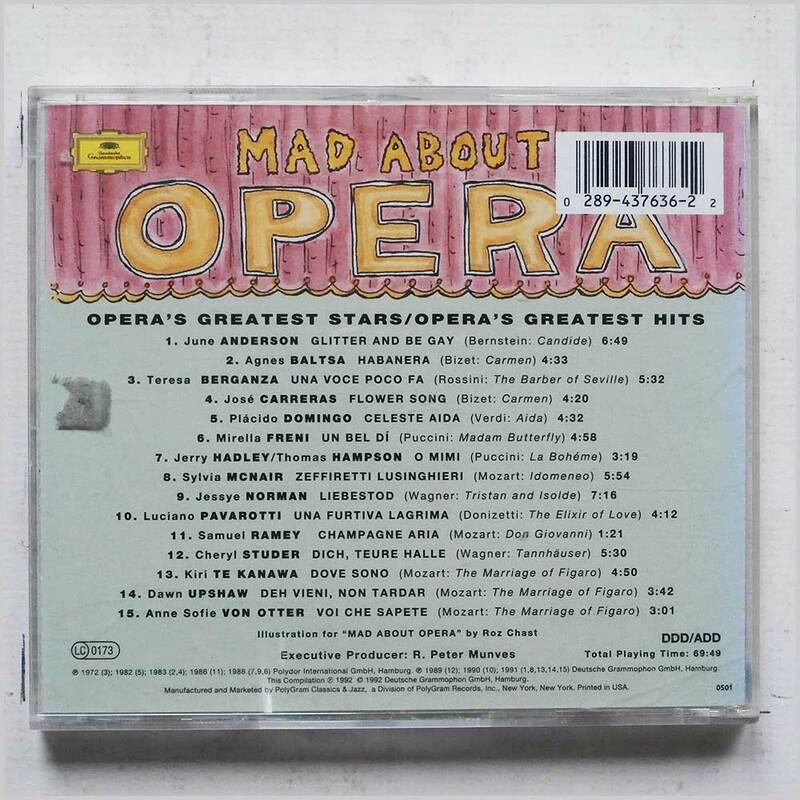 Classical music CD release from Various with the album Opera's Greatest Stars. Released on the label Deutsche Grammophon Records. Classical music CD. This hard to find pre-owned music CD is fully guaranteed. 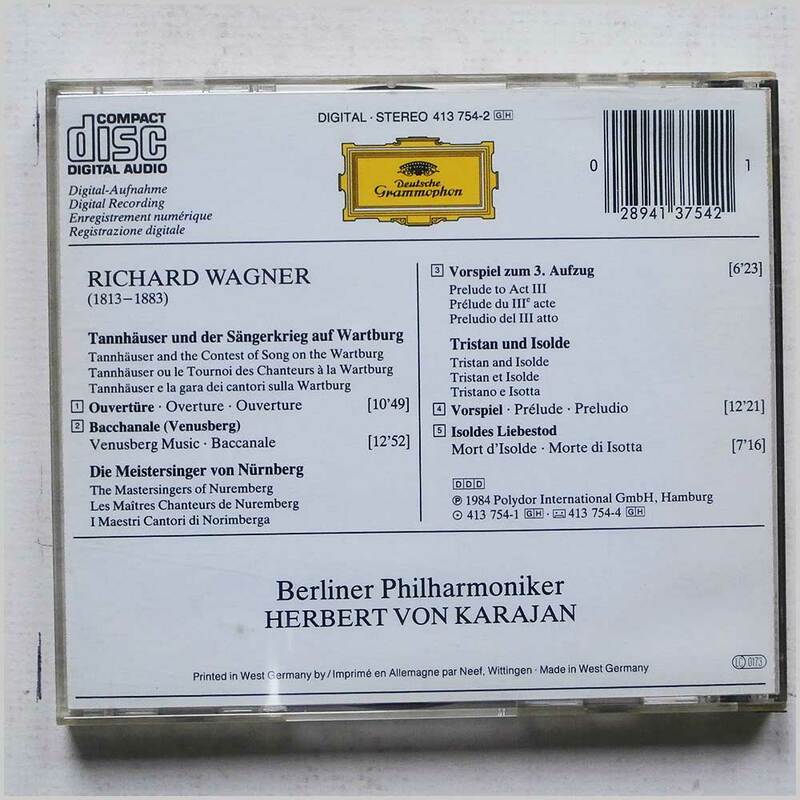 Format: Music CD, Deutsche Grammophon Records. 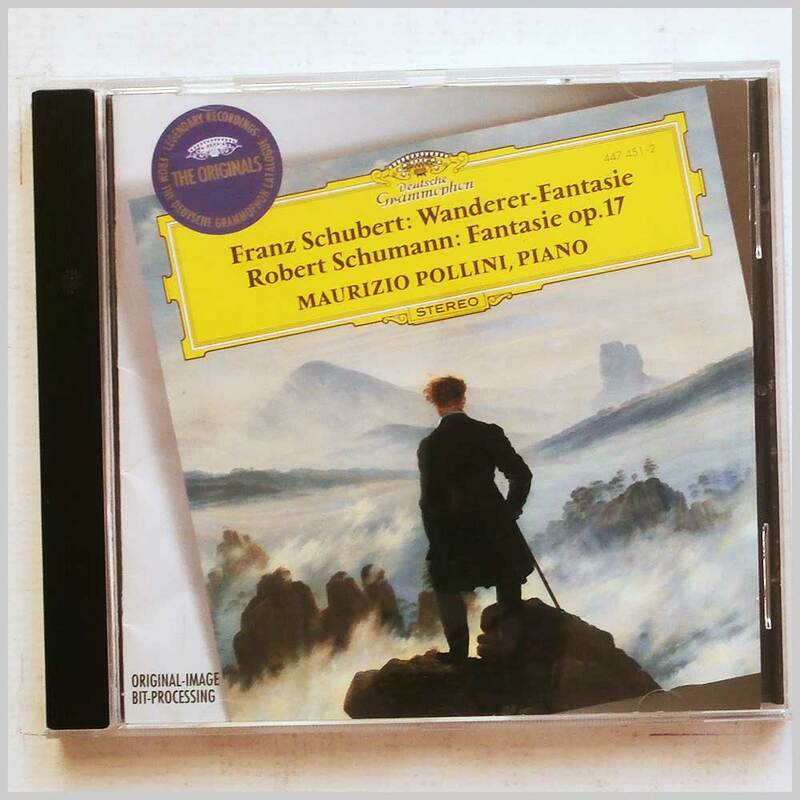 Classical music CD release from Maurizio Pollini with the album Schubert: Wanderer-Fantasie, Schumann: Fantasie Op. 17. Released on the label Deutsche Grammophon Records. Classical music CD. This hard to find pre-owned music CD is fully guaranteed. 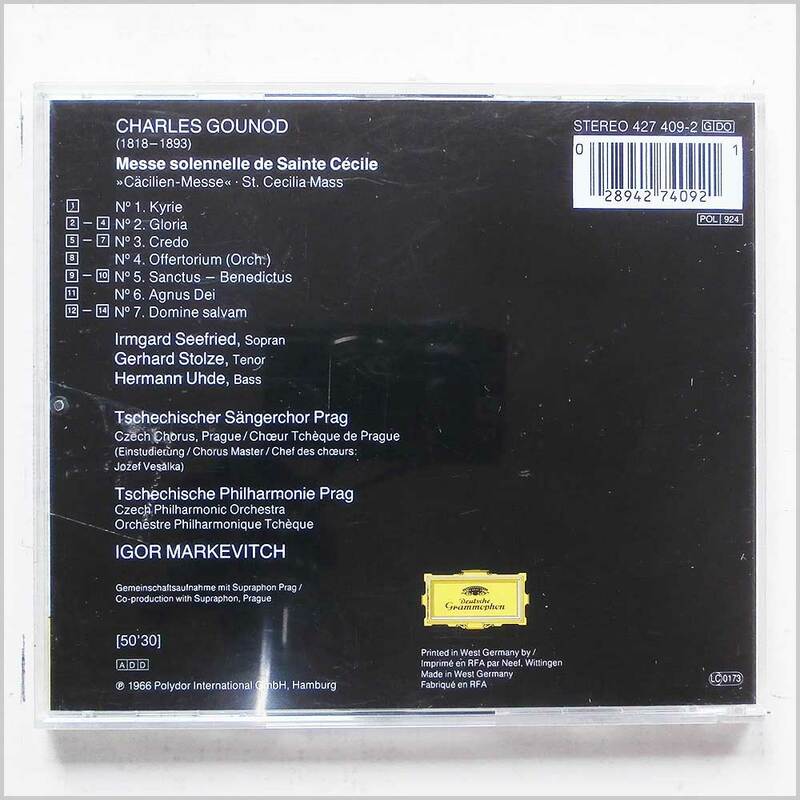 Format: Music CD, Deutsche Grammophon Records. 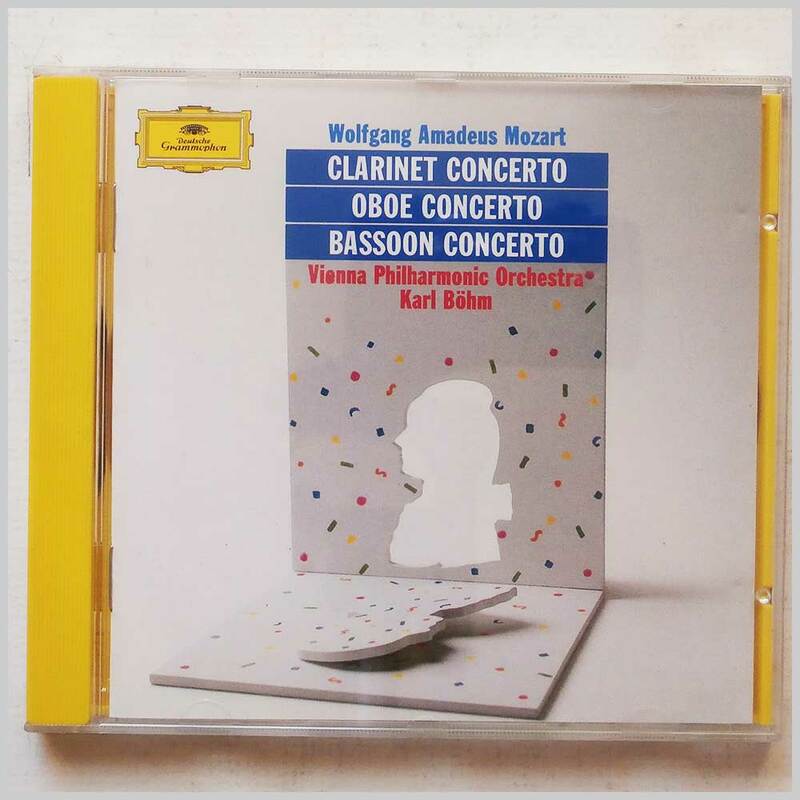 Classical music CD release from Karl Bohm, Vienna Philharmonic Orchestra with the album Wolfgang Amadeus Mozart: Clarinet Concerto, Oboe Concerto, Bassoon Concerto. 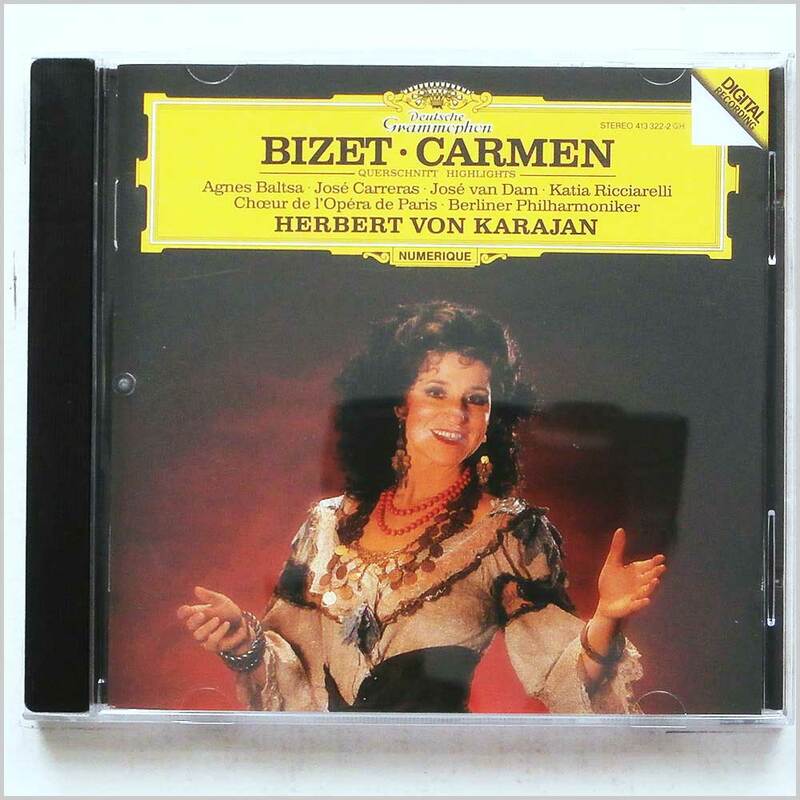 Released on the label Deutsche Grammophon Records. Classical music CD. This hard to find pre-owned music CD is fully guaranteed. 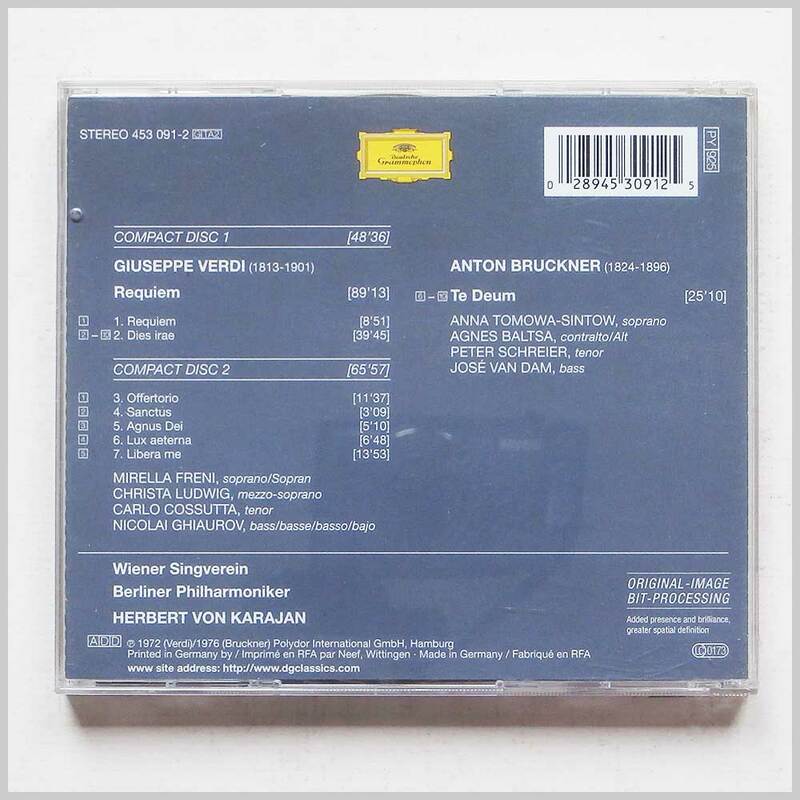 Format: Music CD, Deutsche Grammophon Records. 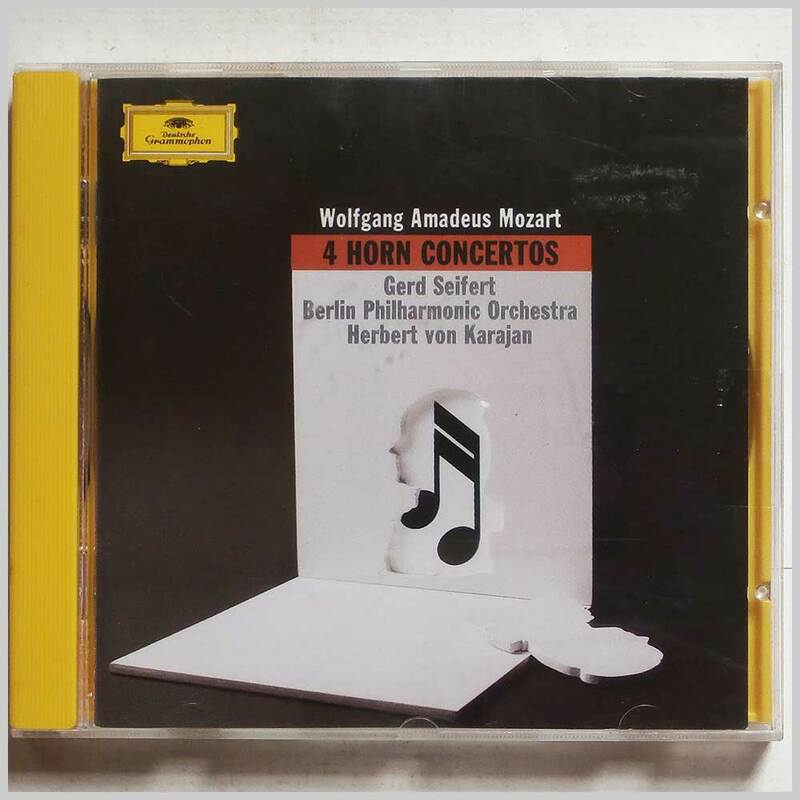 Classical music CD release from Gerd Seifert, Herbert Von Karajan, Berlin Philharmonic Orchestra with the album Mozart: 4 Horn Concertos. Released on the label Deutsche Grammophon Records. Classical music CD. This hard to find pre-owned music CD is fully guaranteed. 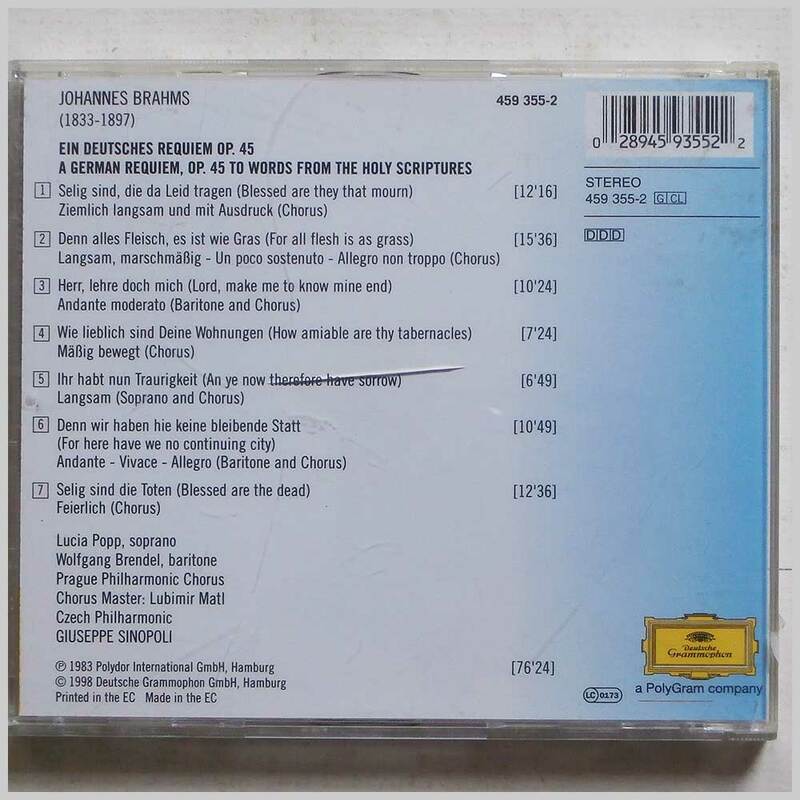 Format: Music CD, Deutsche Grammophon Records. 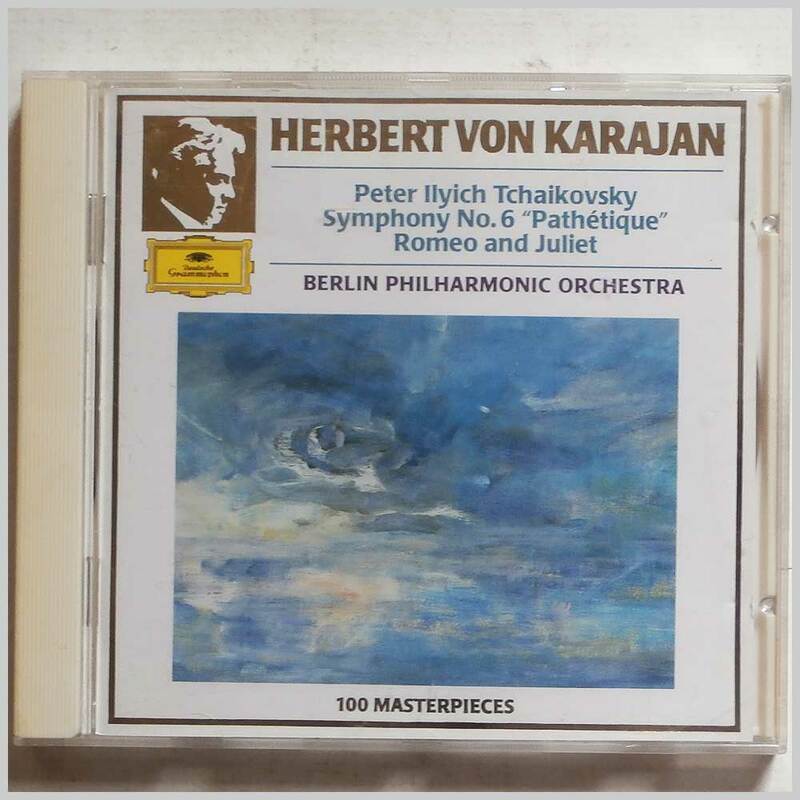 Classical music CD release from Herbert Von Karajan, Berlin Philharmonic Orchestra with the album Tchaikovsky: Symphony No.6 Pathetique. Released on the label Deutsche Grammophon Records. Classical music CD. This hard to find pre-owned music CD is fully guaranteed. 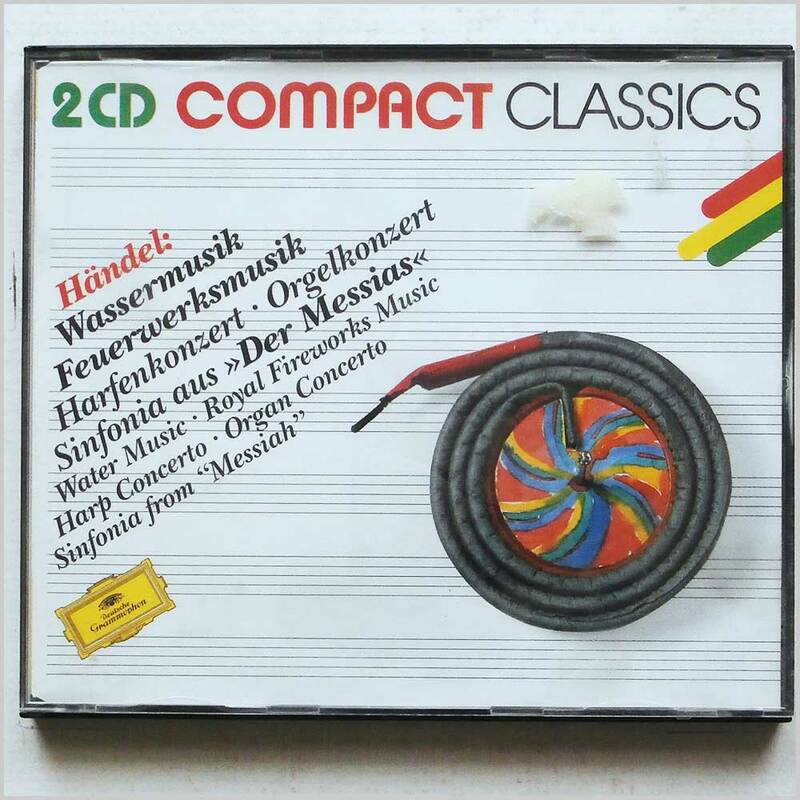 Format: Music CD, Deutsche Grammophon Records. 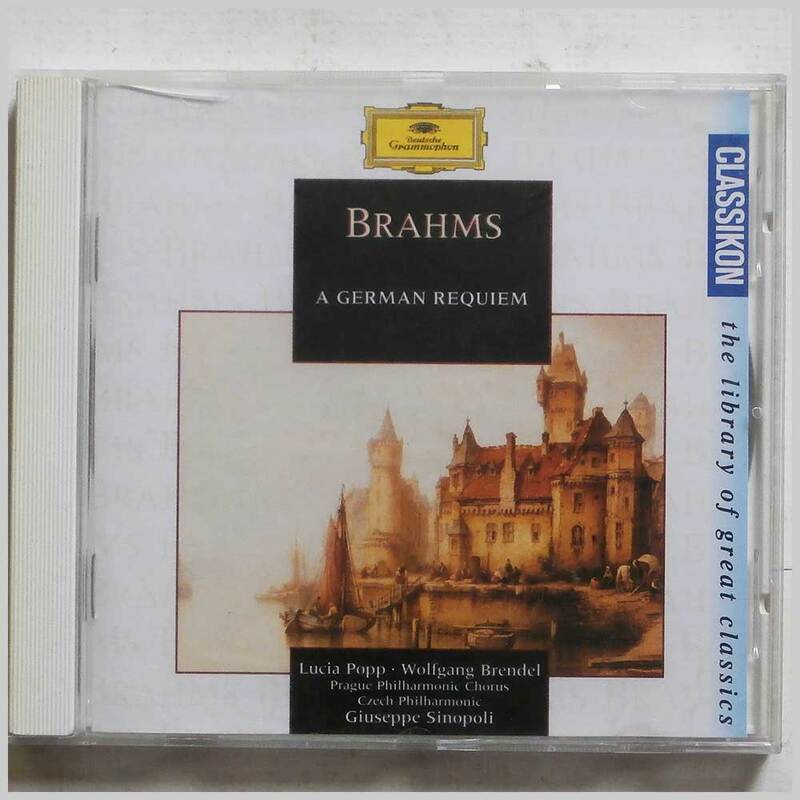 Classical music CD release from Lucia Popp, Wolfgang Brendel with the album Brahms: A German Requiem. Released on the label Deutsche Grammophon Records. Classical music CD. This hard to find pre-owned music CD is fully guaranteed. 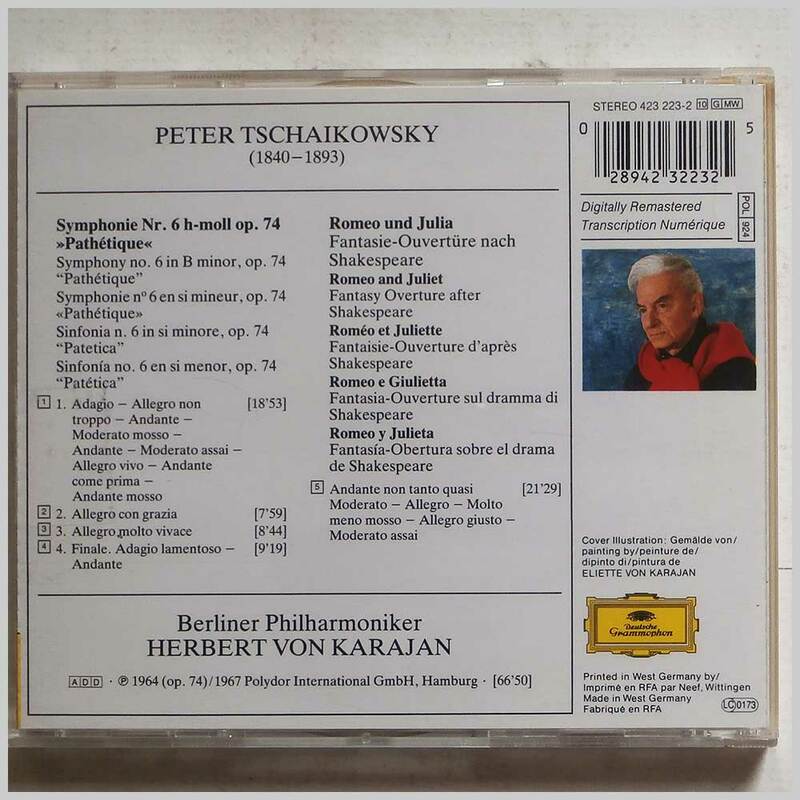 Format: Music CD, Deutsche Grammophon Records. 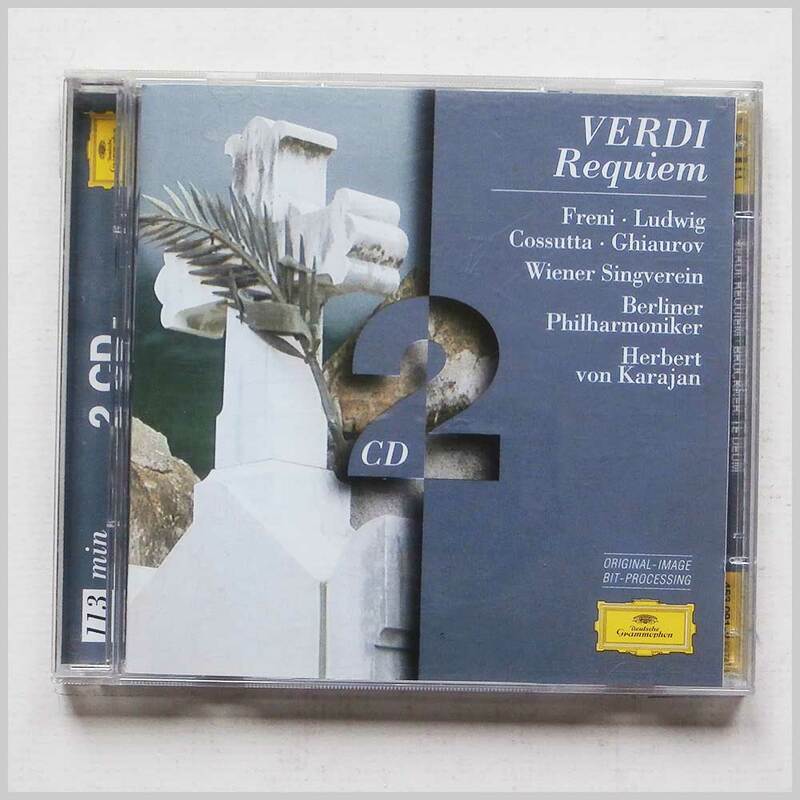 Classical music CD release from Herbert Von Karajan, Berliner Philharmoniker with the album Verdi: Requiem, Bruckner: Te Deum. Released on the label Deutsche Grammophon Records. Classical music CD. 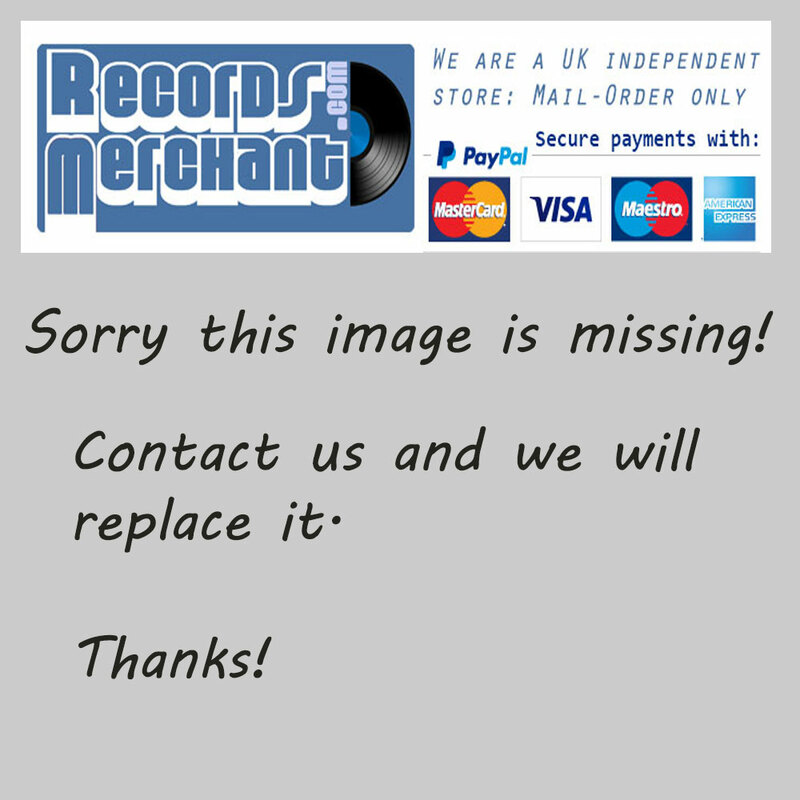 This hard to find pre-owned music CD is fully guaranteed. This is a two CD set.